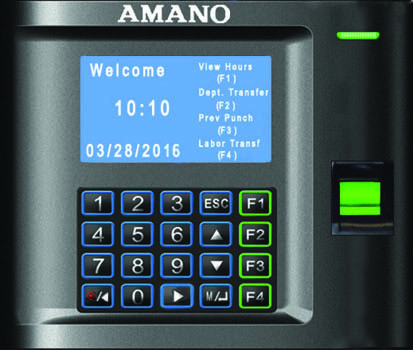 This is an easy to use yet feature-rich employee time clock system. This economical time clock system interfaces with most common payroll applications, including ADP, Paychex, QuickBooks, and .csv. It provides a complete turn-key solution to accurately and effectively mange your payroll. It enables you to automate the collection, calculation, and preparation of employee time records, while increasing your profits. We sell the bells and power supplies! Manager Overtime Authorization Feature - more control for your managers. Windows 7, 8 and 10 and Windows Server up to version 2016. Dimensions: Height: 5.5" Width: 6.5" Depth: 1.8"